Naval life often comes with a high risk, though the rewards are often immortality. 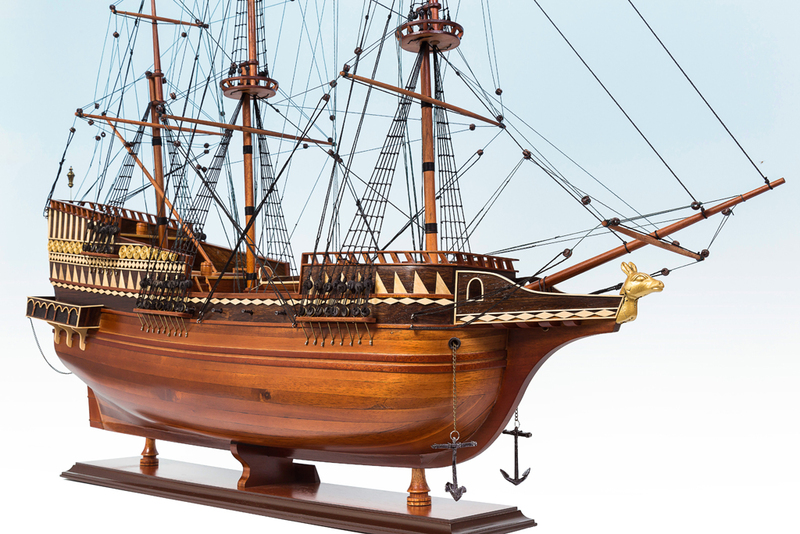 For those who joined Sir Francis Drake aboard the Golden Hind in 1578, legendary status lay in wait. 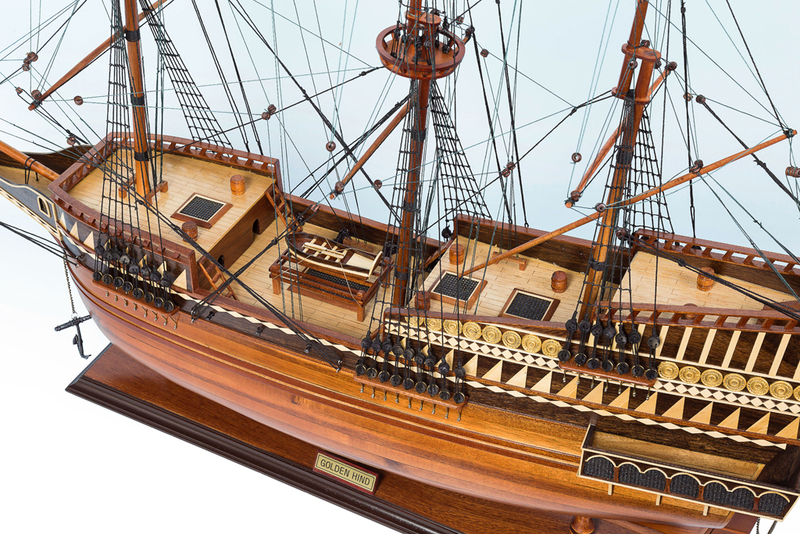 The ship was a pioneer in naval travel, circumnavigating the globe in just three years. The ship, sponsored by the likes of Sir Christopher Hatton, became a major part of British naval dominance. 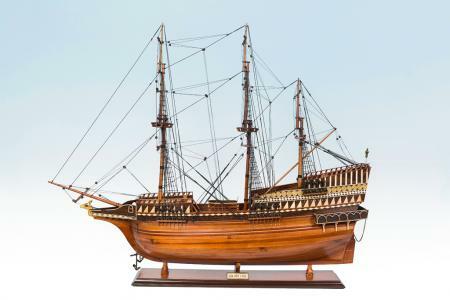 It’s incredible importance and the fact it managed to achieve its stated aim means that, for many, the ship is among the most famous in history. 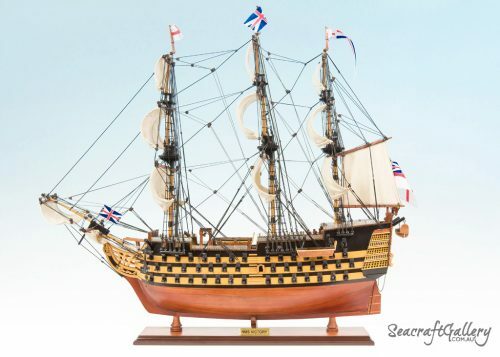 Though it was eventually broken up in the late 1600s, it served its purpose as one of the most important ships ever commissioned under the rule of Queen Elizabeth I of England. 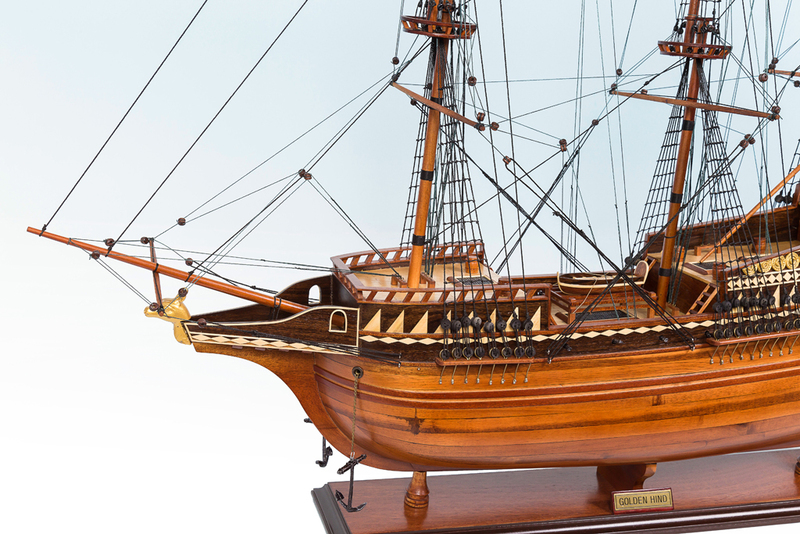 Designed with pristine craftsmanship and complete attention to detail, this 95cm Golden Hind ship model really does help to capture the importance of the Golden Hind. 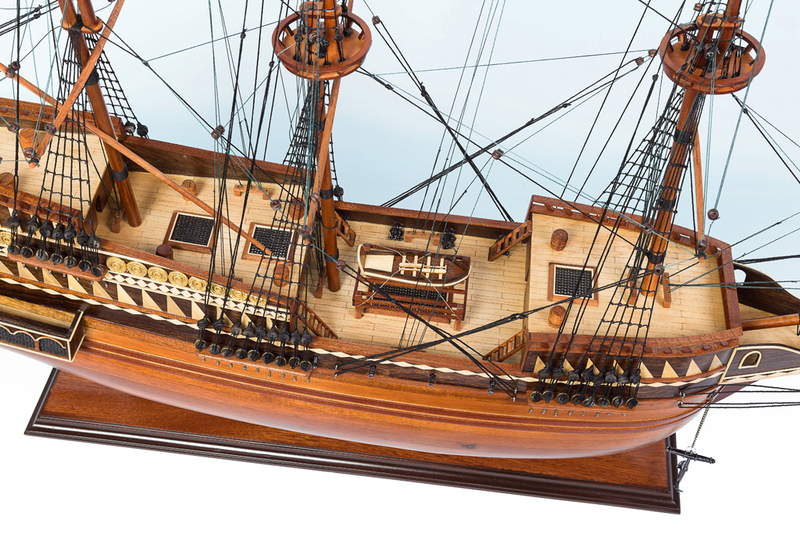 If you are serious about enjoying a more history-driven form of furniture, this is one of our most ideal wooden ship models for shape. A history certificate of the Golden Hind ship included. 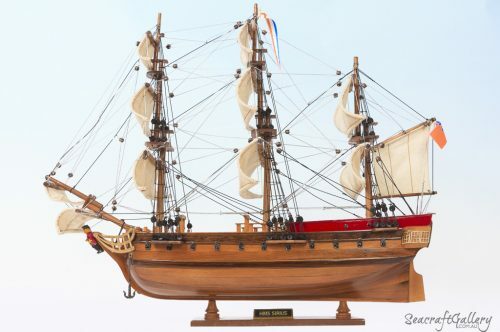 A perfect way to showcase your valuable Golden Hind model ship is with a hardwood & perspex display cabinet specially designed for tall ship models. The Pelican, as it was once known, was a ship designed with great ambitions. It came to be as Sir Francis Drake wishes to take on a global expedition, passing around South America to find what came after. Sponsored in part by the royal crown, Drake and co. were expected to learn more about the world and put a thorn in the side of the Spaniards. 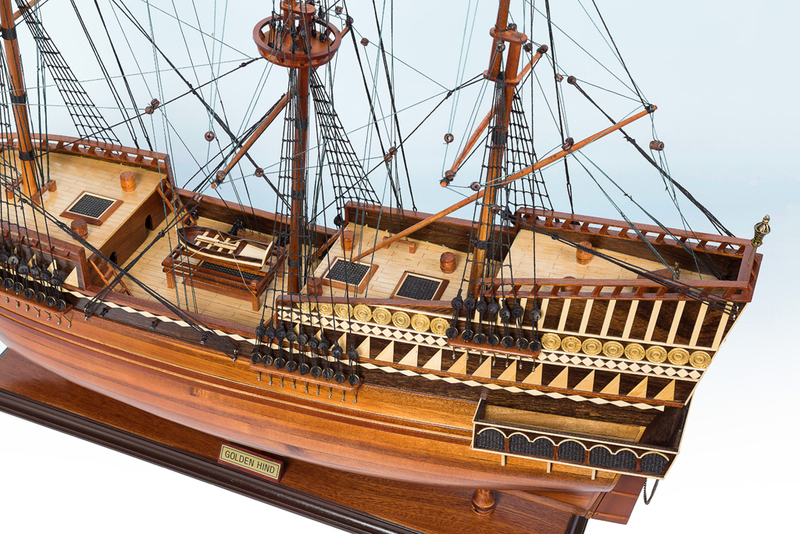 The ship played an important role as naval travel changed, moving from the carrack range of ships to the galleon. 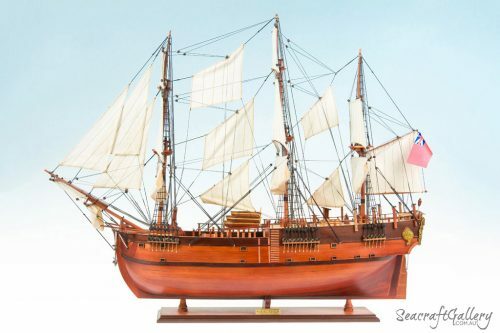 With 22 guns equipped, the ship set sail to take control of the seas and ensure British dominance of the waters – and the world. 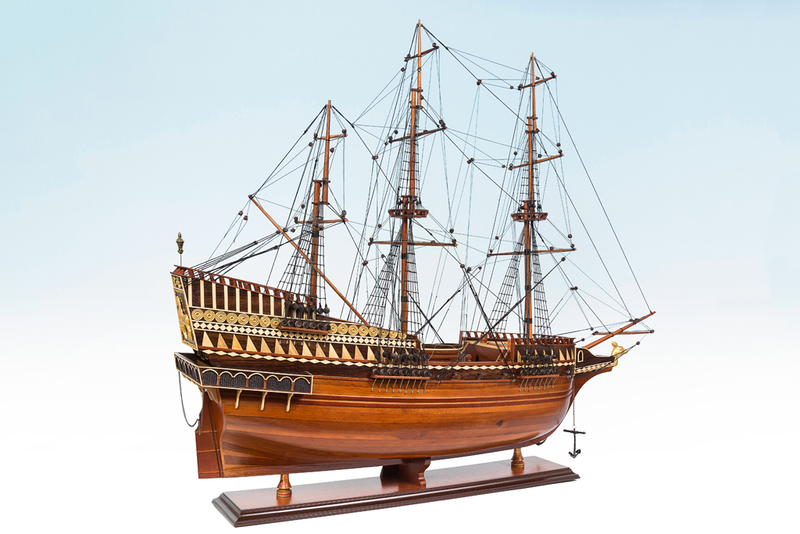 From famous captures of the Nuestra Senora de la Concepcion, to winning great battles, the ship more than served its purpose: to help Britain expand its influence and scale across the world. 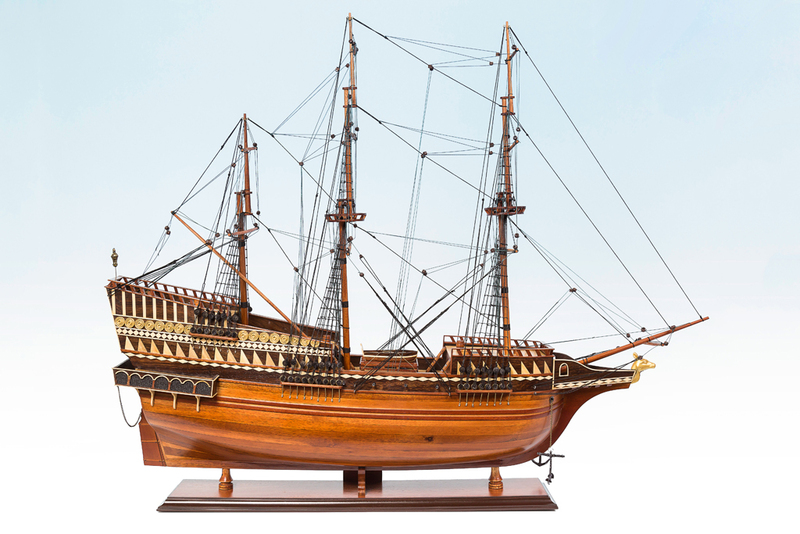 As the ship attributed to the great Sir Francis Drake, The Golden Hind was a major part of global exploration. 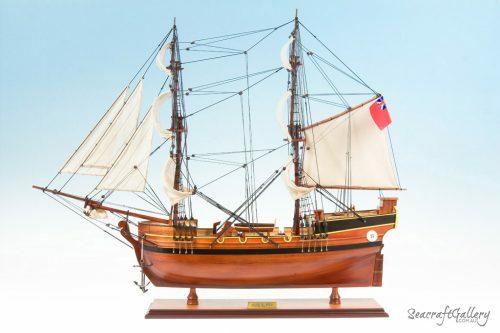 For its time, it was one of the foremost important ships for discovery of a world of which we knew little about. In 1577, Drake was selected to be the head of the world circumnavigation expedition. 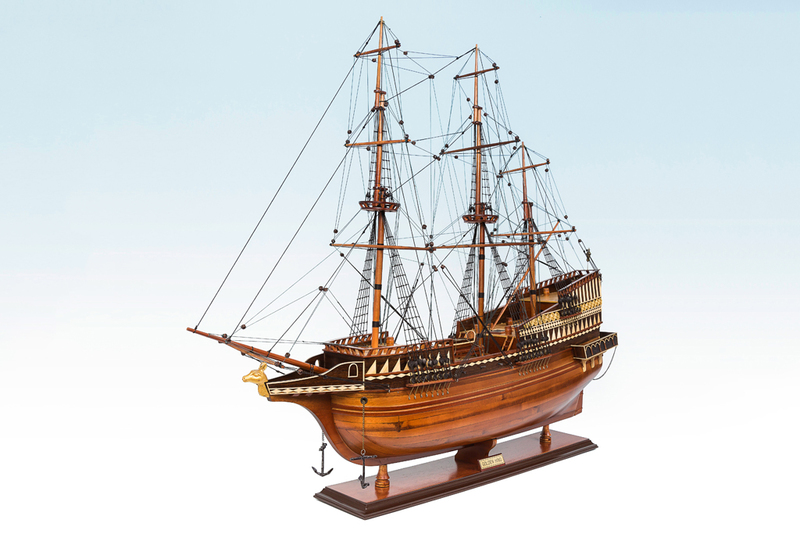 It was during this expedition that The Golden Hind set off, accompanies by four other ships. They set off in the same year, and the voyage took around three years. With his group of ships, they sailed across the Atlantic Ocean before reaching South America, via the Straits of Magellan and also the Pacific Ocean. They even passed through locations as diverse as California, the Philippines and even the Cape of Good Hope, via Sierra Leone. 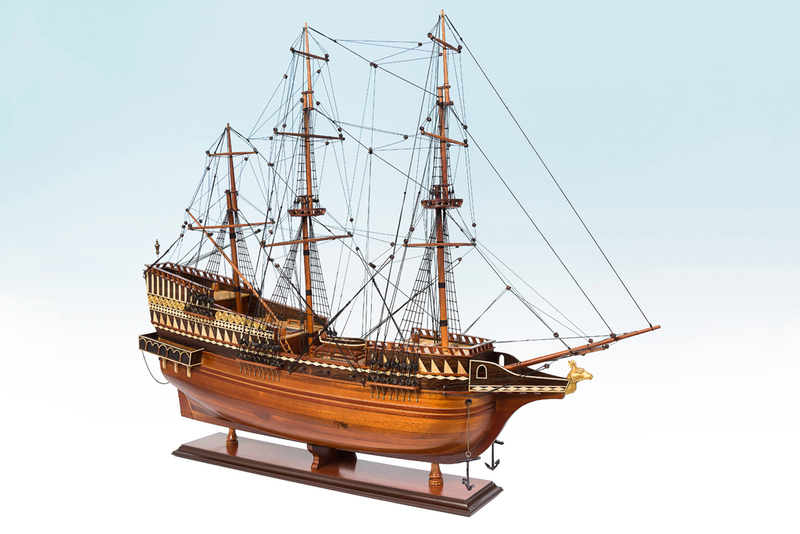 Returning to England in 1580 with The Golden Hind, this was the only ship of the expedition that actually managed to make it home. Upon his return Queen Elizabeth I bestowed the honor of “Sir” upon Francis Drake, in 1581. The ship was then kept in honor of the achievement down in Deptford, London. There, it stayed for the best part of a century before it slowly but surely started to suffer from rot. 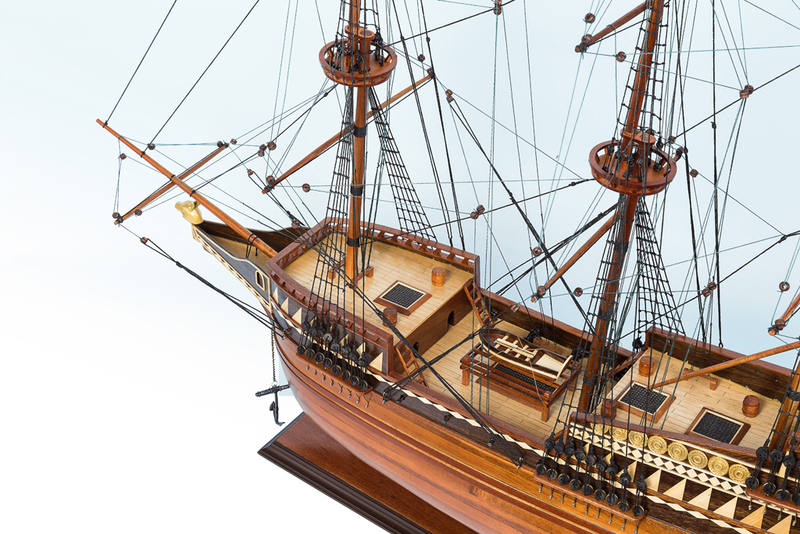 It was also the first ship to be stored in a museum – a ‘museum ship’ – in the world. 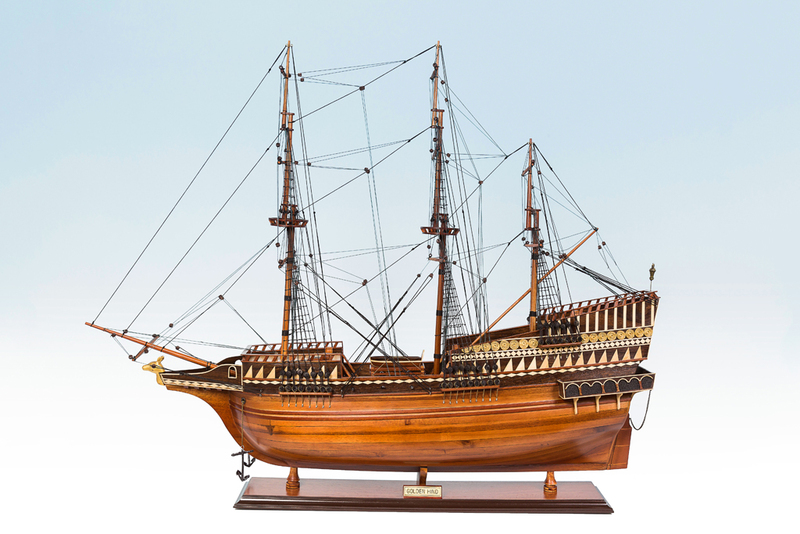 While the old ship and the real thing no longer exists, a model ship and a replica of The Golden Hind can be found in London. 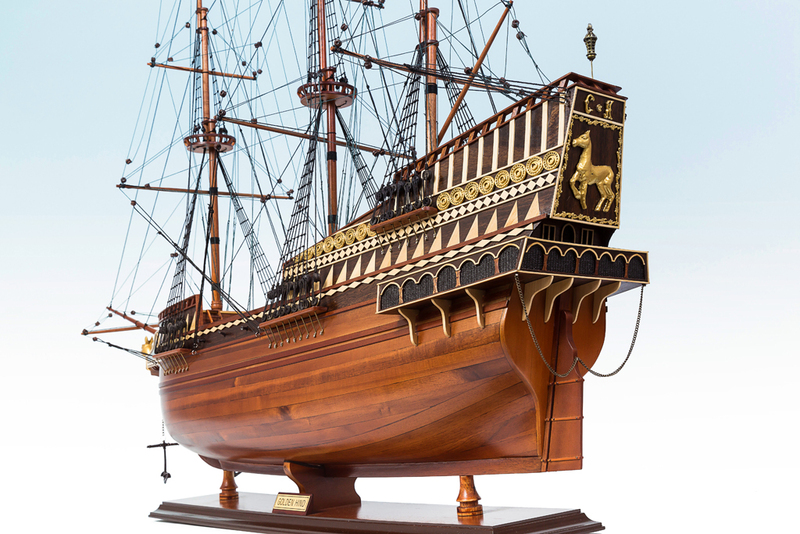 Today, parts of the ship, such as chairs and tables, were made using the wood from the Golden Hind. Two replicas also exist, one in 1947 and one in 1988. Another replica exists within London, which was launched in 1973. 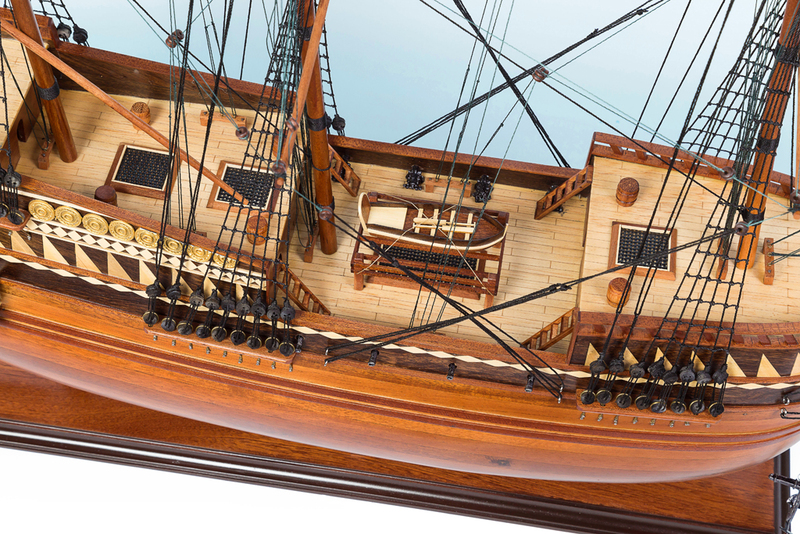 It was an actual full-size rebuild of the ship, though, and was used for actual naval travel. Today, it can be fond at the St. Marie Overie Dock, London.